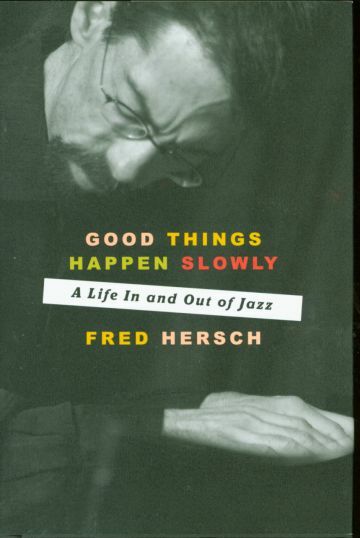 Good Things Happen Slowly - Fred Hersch [Fred Hersch book] : Jazz Record Center, Rare and out-of-print books, records and more. Jazz pianist, composer, activist, and educator, Fred Hersch is a ten-time Grammy nominee and the recipient of a 2003 Guggenheim Fellowship in Composition. 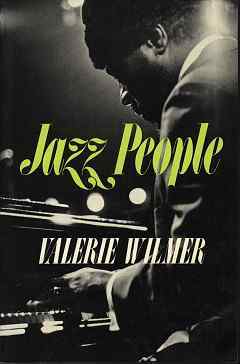 He was named a 2016 Doris Duke Artist and has twice been awarded Jazz Pianist of the Year by the Jazz Journalists Association. He concertizes worldwide as a solo artist, as a collaborator, and with the Fred Hersch Trio. He was a longtime member of the Jazz Studies faculty of the New England Conservatory and now teaches at Rutgers University. "Good Things Happen Slowly" is his memoir. It's the story of the first openly gay, HIV-positive jazz player; a deep look into the cloistered jazz culture that made such a status both transgressive and groundbreaking; and a profound exploration of how Hersch's two-month-long coma in 2007 led to his creating some of the finest, most direct, and most emotionally compelling music of his career. This is a powerfully brave narrative of illness, recovery, music, creativity, and the glorious reward of finally becoming oneself.